3 Bedroom Semi Detached House For Sale in Newark for Asking Price £100,000. SEMI-DETACHED HOUSE . . . THREE BEDROOMS . . . LARGE PLOT . . . NO UPWARD CHAIN . . . The accommodation comprises an entrance hall, lounge, kitchen-diner and downstairs shower room. To the first floor there are three good sized bedrooms. 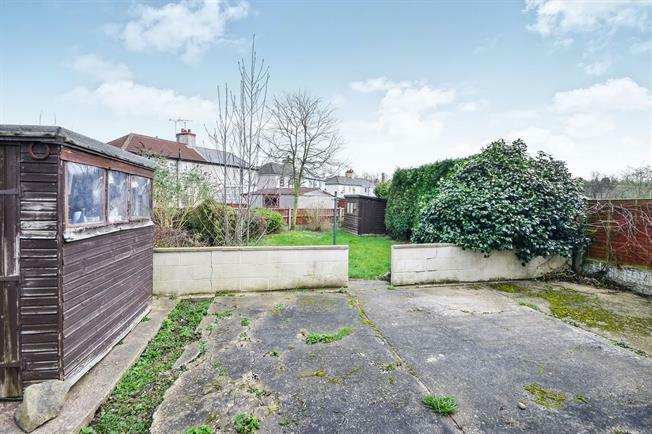 Outside of the property boasts a large plot with potential for a large garage/outbuilding and front and rear gardens. A UPVC door gives access with stairs to the first floor and door to lounge. Double glazed window facing the front, radiator and gas fire with stone surround and fire place. The kitchen comprises a range of wall and base mounted units with roll top work surfaces over, one and a half bowl sink with drainer and an integrated oven, hob and extractor fan. There is a double glazed window and back door to the rear. The three piece suite comprises a low level WC, pedestal wash hand basin and a walk in shower. There is a double glazed window and a radiator. With a double glazed window and doors to first floor accommodation.